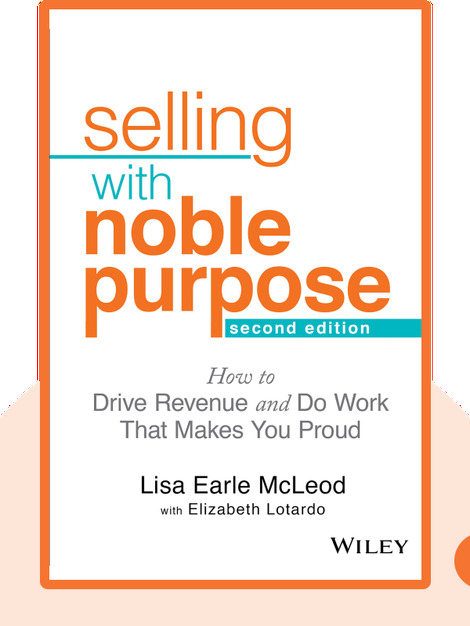 Selling with Noble Purpose (2013) is about finding the right balance between making money and doing something meaningful with your life. It allows you to reframe your work by focusing your intention on the customer and how they truly benefit from your product. It’s a perspective that also keeps employees happier, more motivated and effective. Selling doesn’t have to be focused on profits and greed; it can also be about making the world a better place. Lisa Earle McLeod is a sales expert who has worked for leading companies such as Procter & Gamble, Apple and Kimberly-Clark. She is a commentator for the business website Forbes.com and has written for the New York Times and the Wall Street Journal. 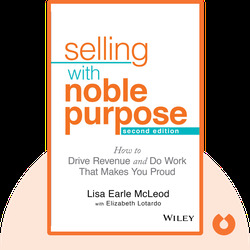 © Lisa Earle McLeod: Selling with Noble Purpose copyright 2008, John Wiley & Sons Inc. Used by permission of John Wiley & Sons Inc. and shall not be made available to any unauthorized third parties.